Sunday morning club runs start at 9am from Morton Stanley Park, Windmill Drive, Redditch B97 5QE. 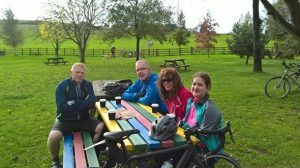 This is the ride for members who want to socialise while out on the bike. The group will go at the speed of the slowest rider or will re-group as necessary to keep everyone together. Aim to return for lunchtime. 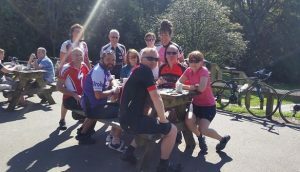 Newcomers welcome - non-members are always welcome to join one or two rides on a trial basis. There is normally an "A" and a "B" ride. They differ by average speed, "A" is 13 - 15 mph and "B" is 10 - 12 mph.